We are excited to unveil a brand new look to the Tuva Datasets Library! 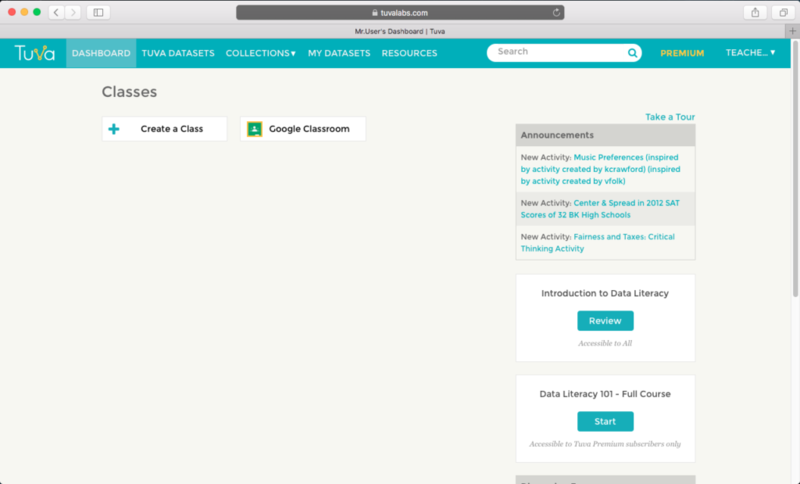 As the number of datasets, activities, and lessons continues to increase on the Tuva platform, we are striving to make it easy for you to filter and find the right curriculum resource that meets your needs. Find all the Filter categories and sub-categories on the left sidebar. 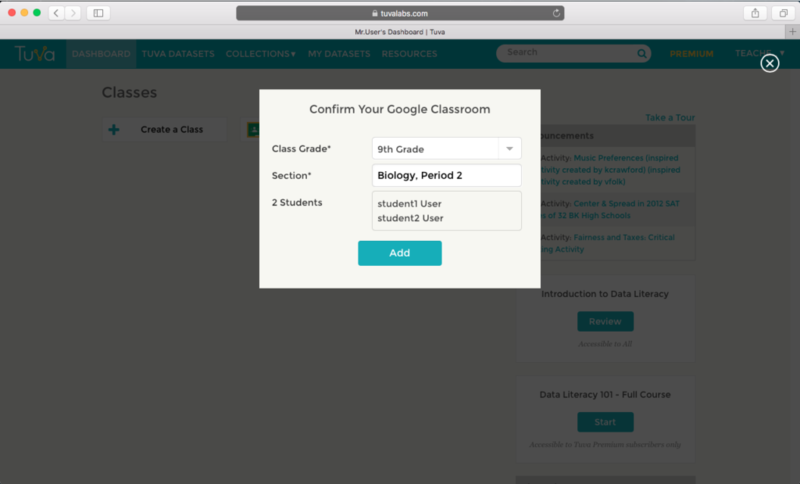 Filter by Subject / Topic, Grade Level, Science (NGSS Core Ideas), Math topic, Dataset Size, Place / Region, and Language. 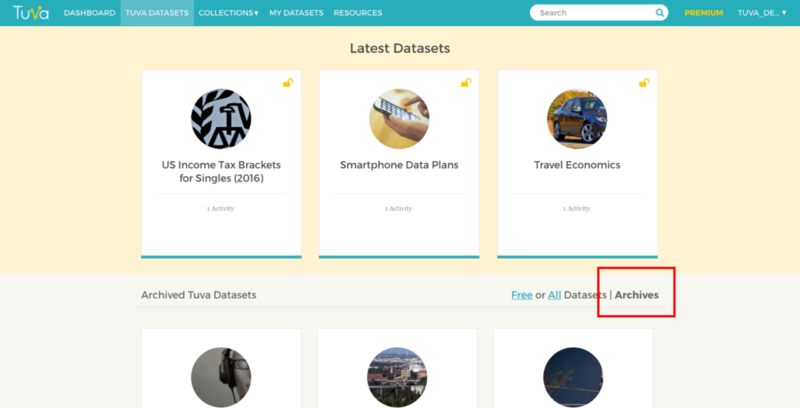 Easily switch between 15 free datasets (Tuva Basic) and All datasets (Tuva Premium) in the library. Easily toggle between Block View and List View for all resources. Quickly find all the archived datasets and activities. Stay tuned for additional updates and enhancements to the new Tuva Datasets Library! The Tuva Datasets Library continues to grow, with new datasets, activities, and lessons added on a regular basis. Thousands of educators around the world use the Tuva Datasets, the interactive graphing and data tools, and inquiry-based activities to effectively address math and science standards, concepts, and practices in their classrooms. As we curate and add new datasets and activities to the Tuva Datasets Library, it it becoming essential that the library is kept fresh. What can we do to preserve many of the older datasets that are no longer be relevant? Today, we are introducing the Archives section within the Tuva Datasets Library. Once a free or a Tuva Premium dataset is archived, it will be placed in the Archives section of the library. 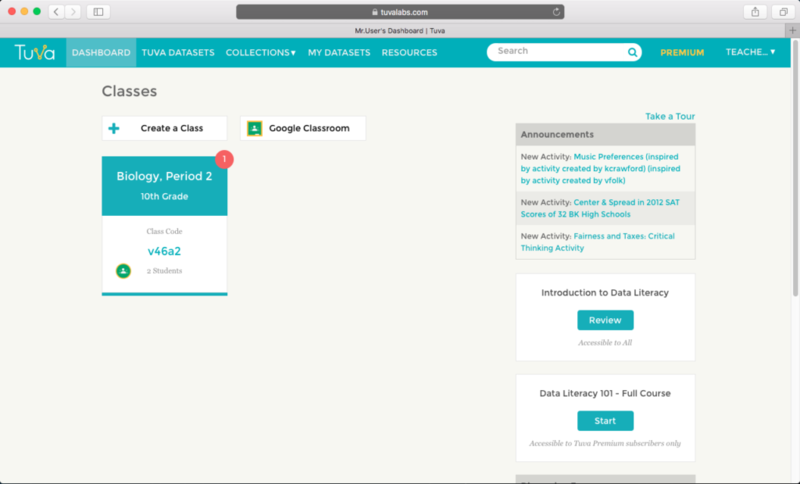 Once the dataset is archived, all the activities and lessons related to that dataset are archived as well. Screenshot of an archived dataset. The archived datasets and activities will appear in the Search results, but they will be clearly marked as ARCHIVED. The Archives section will ensure that the Tuva Datasets Library remains fresh, and that you are able to find the datasets, activities, and lessons that meet your needs. At Tuva, we have been working closely with the team at the Friday Institute at NC State, led by Dr. Hollylynne Lee, to bring our dynamic, easy-to-use, yet powerful data analysis and visualization tools to be used in a Massive Open Online Course for Educators (MOOC-ED) that is focused on “Teaching Statistics Through Data Investigations”. The course is designed to develop the pedagogy and content understanding for teachers (and teacher educators) in middle school, high school, and AP/ intro college levels. 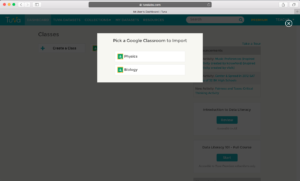 There will be many choices and options in the course for teachers to focus their learning around content area that they teach. The course will launch March 9th and will run for 8 weeks. Registration is FREE, and there is an opportunity for teachers to earn Continuing Education Units (CEUs) if they complete all activities in the course and do a project. It may be a great opportunity for teachers to work in teams or PLCs to complete the course together. In the course, participants will see many video-based examples of students and teachers engaging in data and statistics tasks, hear from a panel of experts on teaching statistics (Chris Franklin, Susan Friel, Webster West), learn about statistical habits of mind, be introduced to a framework for developing students’ statistical sophistication (adapted from GAISE), examine tasks, and engage with real data sets using tools such as Tuva. Now doesn’t that all sound fun? Especially if you also have the option of engaging in discussions with teachers from all around the world? You can see more details and register here. Please help us spread the word about this course by sharing it with your school contacts and teacher networks. We are excited to be a part of this wonderful professional development opportunity for teachers on a wide scale and hope that it can serve thousands of educators in their efforts to bring data literacy to their students!